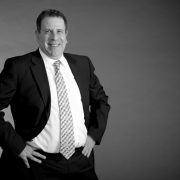 Ron has had over 30 years practice in the legal profession and specializes in property, developments, finance, business and leasing law. Ron’s clients include large corporations and individuals that rely on him for all aspects of their legal work. This ranges from property, business and commercial law dealings and transactions, including but not limited to multi-unit and “off the plan” residential and commercial developments, commercial and retail leasing including shopping centres, malls and shopping strips and industrial properties(acting for both landlord and tenant), property purchase and sales (including residential, commercial/industrial and multi-unit developments), finance and mortgages (acting for lenders and borrowers), finance advice and documentation, sales and purchases of business, business and trust structures, joint ventures, GST and stamp duty issues and advice, contracts and agreements as well as providing general legal advice on many other wider aspects of the law. Ron is dedicated to providing cost effective professional service to his clients in a prompt, courteous and friendly manner. Outside the law firm, Ron enjoys AFL Football, sports and fitness, a good coffee, and spending time with his family.